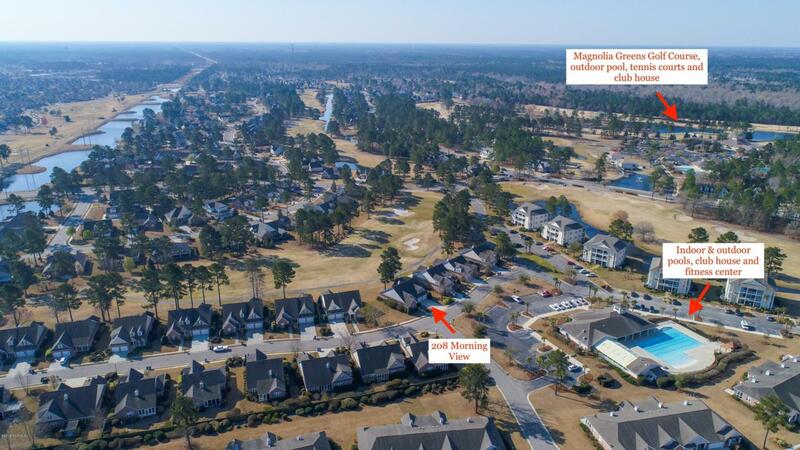 Beautiful brick home set on the 27th fairway with views of the green, in highly sought after Fairway Village @ Magnolia Greens. 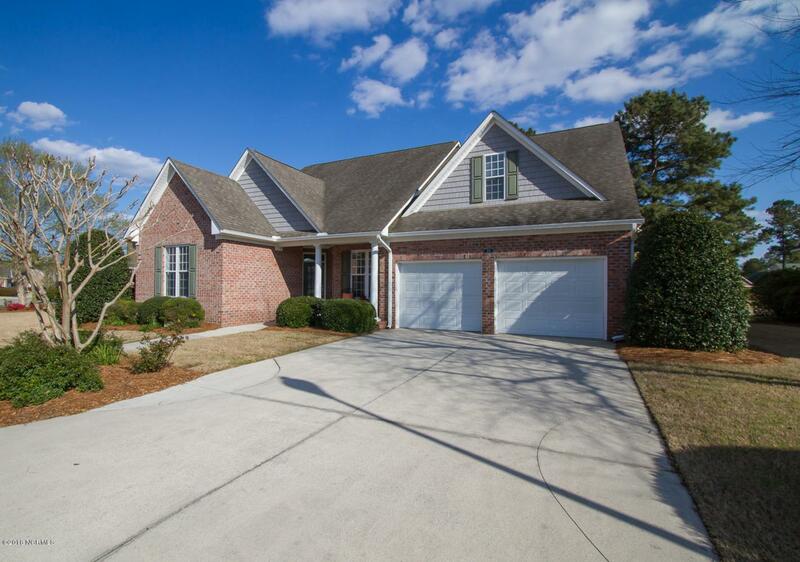 This 3BR/3BA home is across the street from the pool and fitness center! The covered front porch leads to the inviting foyer of this open floor plan home with plenty of natural lighting. The living room has a gas fire place with built-in cabinets & shelves on each side, cathedral ceiling and lovely views of the golf course. Well-appointed kitchen features custom wood cabinets, island with room for seating, desk area, tile backsplash, granite counters, stainless steel appliances & a separate breakfast nook. Master suite features a lavish bath with huge walk-in closet, separate vanities, walk-in shower, jetted tub & enclosed water closet. Downstairs alsoincludes a home office/den, 2nd bedroom & bath plus laundry room. Upstairs there is a 3rd bedroom and 3rd full bath plus a bonus/media room. 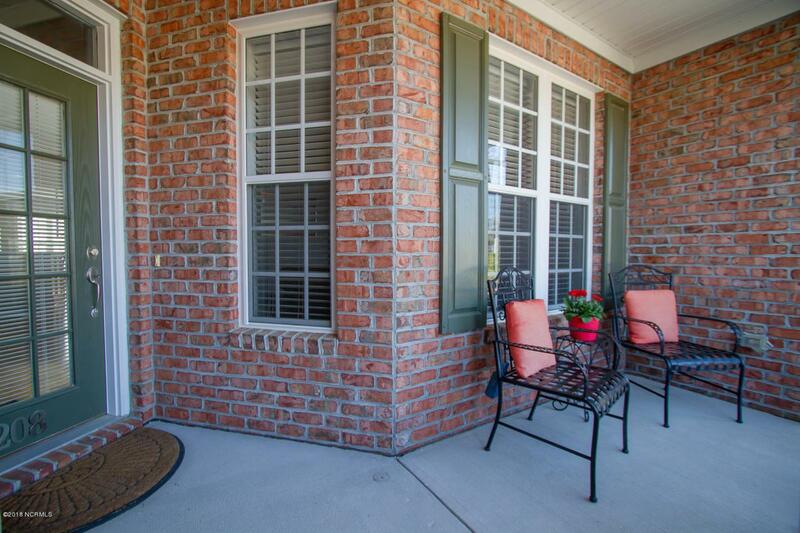 There is a 2 car garage, relaxing screen porch overlooking the golf course and hardwood floor in main living areas & office. Refrigerator, washer & dryer convey. Home warranty is also included! Landscape maintenance and irrigation system are included in the homeowner dues. Resort style amenities include indoor/outdoor pools, 2 golf courses, tennis, fitness center & clubhouses. Near Wilmington & area beaches! 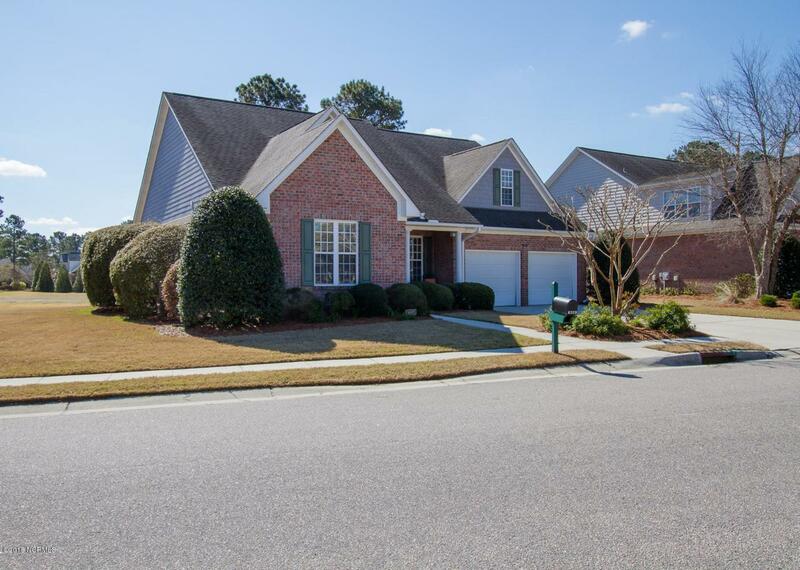 Listing provided courtesy of Karen Schwartz of Coldwell Banker Sea Coast Advantage-Leland.